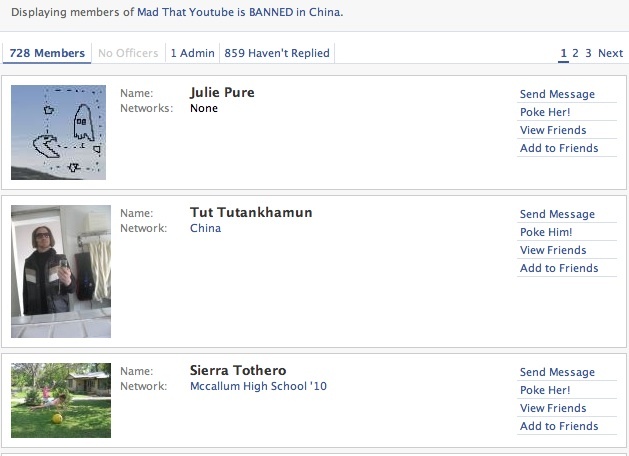 Mad that Youtube is BANNED in China Facebook group seems mostly to be expats, although not completely. It has over 700 members at present. * THEY ARE TRYING TO SHUT DOWN FACEBOOK – PETITION TO KEEP IT! INVITE ALL! * All FaceBook Members! 20 30 Millions? Lets Find Out!